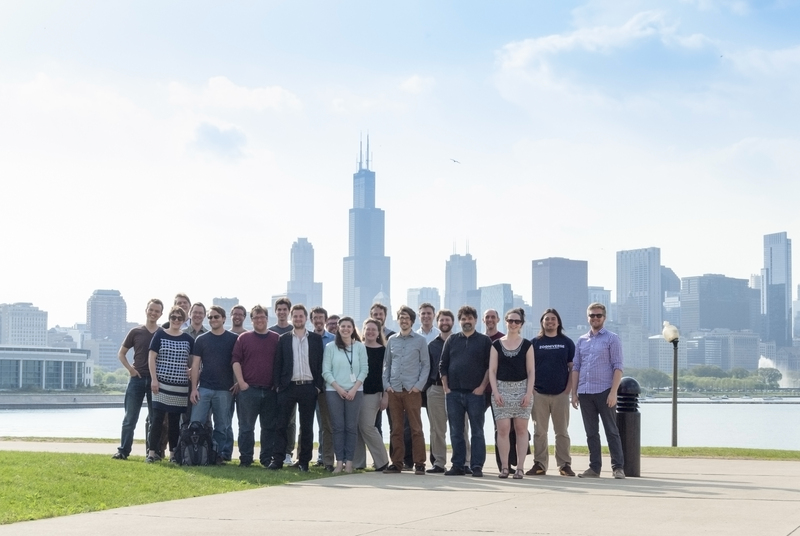 Hey all, we took this picture today during our annual Zooniverse team meeting at the Adler Planetarium in Chicago. It was pretty hot and humid out there, which made me really regret being in a suit! The only people missing in this shot are Kelly Borden and Chris Lintott who sadly had to leave early.